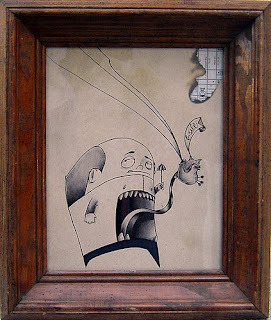 Here are the other two pieces i had at the Lost/Tradition show. 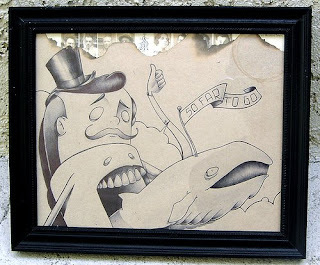 this one is titled, "A place where awkward belongs"
ballpoint pen on recycled paper 2008.
this is titled, "Is that a whale in your pocket...?" 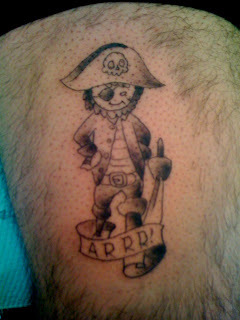 two of my good friends came up from LA for the fourth of july weekend, i tattooed them... say hello to jake the pirate. he is my seventh tattoo, making tattoos is pretty hard. 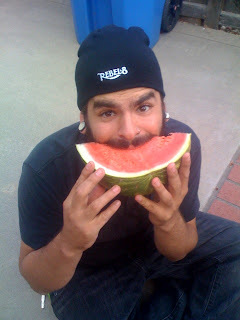 we barbecued on the fourth and i got down on some watermelon. 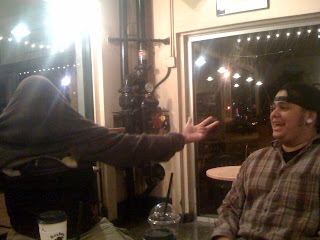 then fernando demonstrated his new dance inspired by mongolians after we had watched, "mongol". sunday morning we had burritos and went to the driving range, where i hit four houses!! 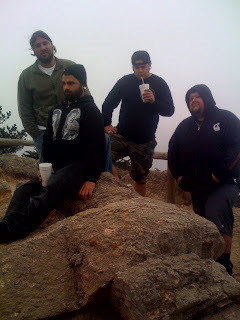 here we all are on some indian hill, around some indian rock.